I can still remember the time of my education days when I was living in a boys hostel. We always have had a harsh argument in the matter of shoes. I didn’t want the place to look messed up but all the boys used to leave the shoes on the entrance of the door. But unfortunately I was not a crafter then otherwise I would have sorted it out immediately. 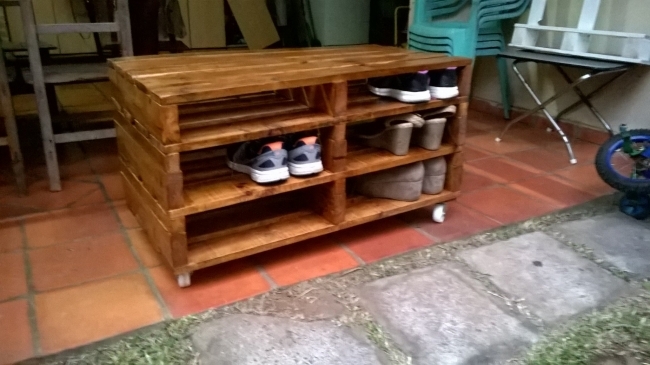 So today we are going to make a pallet shoe storage. 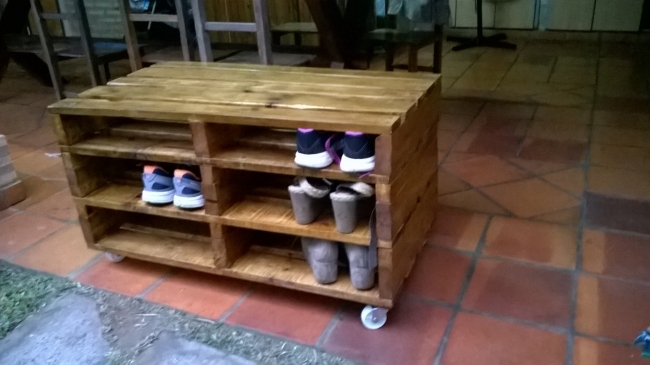 This pallet shoe storage is going to cater all your needs of shoe storage all at once. As everyone knows our website is totally pallet inspired. 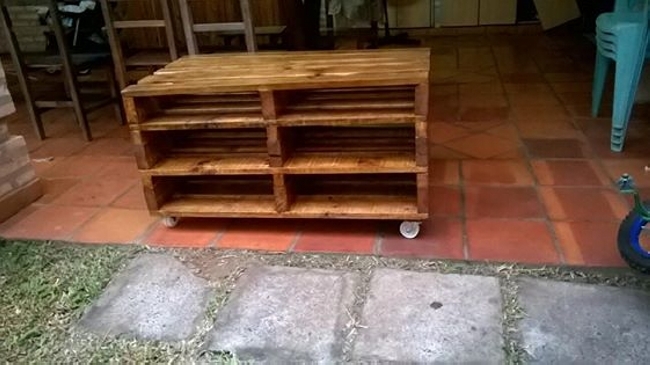 Pallet which was considered a useless object a mere piece of trash after the use, we have transformed it completely. We have given it totally a new life and the pallet has given us countless practical art crafts. Just like the way we are going to make a pallet storage for you by recycling some raw wooden pallets. Though the shoe storage racks are also available in the market but certainly they are very higher in costs being a wooden item. But this pallet storage which we have decided to make is going to be absolutely free of cost, just a few minor expense may occur during the process. We are all set and here we go, this is a multi layered pallet shoe storage entirely upcycled with the pallet wood. It has three shoe racks which certainly provide you with the plenty of space to place your shoes. It has also acquired metallic wheels on the bottom making it completely mobile. This is not varnished but just sanded very well. 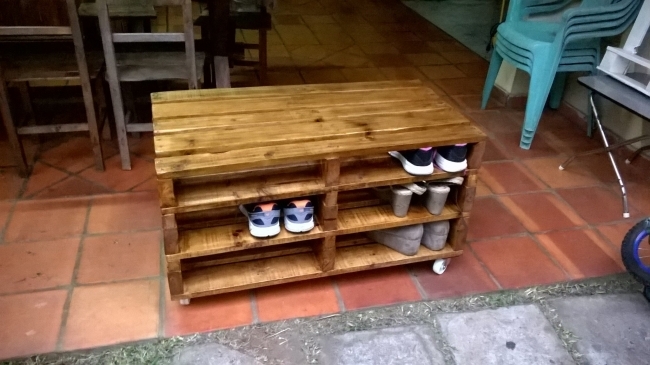 Use it anywhere in the house where you consider it would be used in a best manner as pallet shoe storage is mobile.